Cattle markets found a little support this week, with the Eastern Young Cattle Indicator (EYCI) finishing relatively steady. Weaker yardings and marginally stronger export prices provided some support. 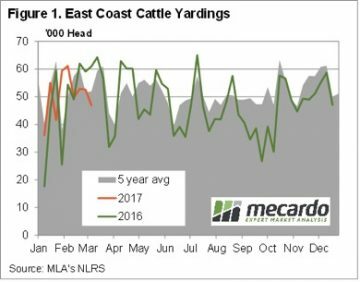 East Coast cattle yardings fell to 6 week lows this week, as lower prices deterred growers from sending cattle to the yards. Figure 1 shows that yardings this week were down 10% for the week, and 23% on the same time last year. With the public holiday next week in Victoria, yardings are likely to be lower again. Despite the steady EYCI, which this week sits at 614.25¢/kg cwt, there were some big market movements. In Queensland Trade Steers fell 70¢ to 490¢/kg cwt. In NSW Trade Steers were up 14¢ to 624¢/kg cwt. 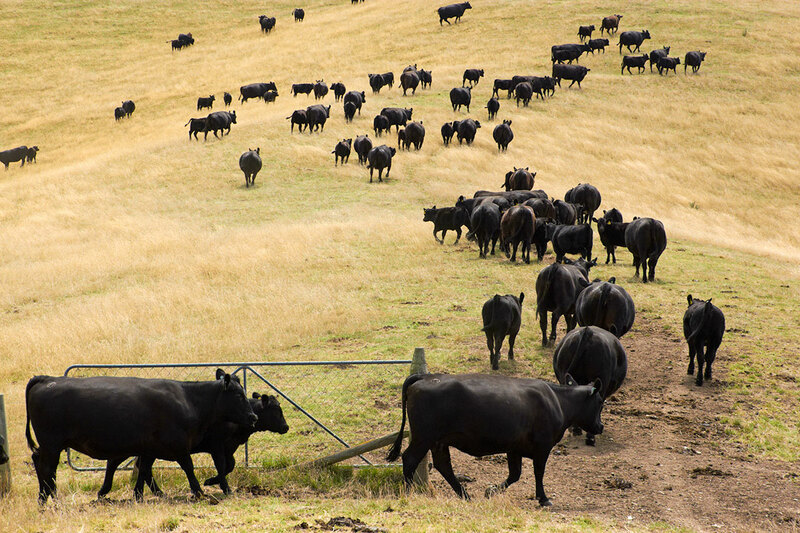 We won’t see a 134¢ spread between cattle in NSW and Queensland for long, with the rest of the market suggesting the price should meet somewhere around 550-600¢ level. Not helping the market at the moment is the sharp fall in Grainfed cattle prices. 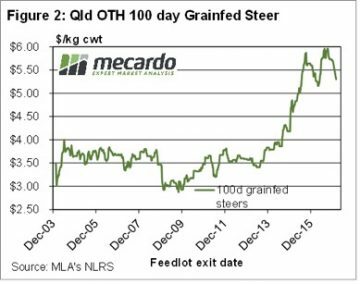 Figure 2 shows the Queensland Over the Hooks 100 day Grainfed steer, and it’s not pretty. Since the start of the year 100 day Grainfed cattle prices have fallen consistently, and have now lost 40¢, or 7%, to sit at a 10 month low of 530¢/kg cwt. We’ll have more on how this might impact young cattle markets in our analysis next week. In the West the rain and dearth of supply has the market sitting well above the east coast. While there were no quotes from saleyards, over the hooks yearling cattle remain in the 580-630¢ range. There is a bit of rain on the forecast for the coming week, especially for south east Queensland and northern NSW. A bit of rain should support cattle prices for a little while, but there should be a strong supply of young cattle, and slaughter cattle, in April and May. This usually pushes prices in the north lower, and given southern prices remain at a good premium, they should be dragged lower as well.